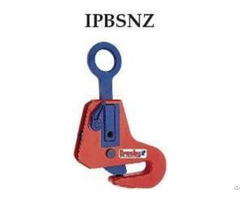 Sizes: 3/8” through 3/4” Capacities: 1 through 4-3/4 metric tonnes. 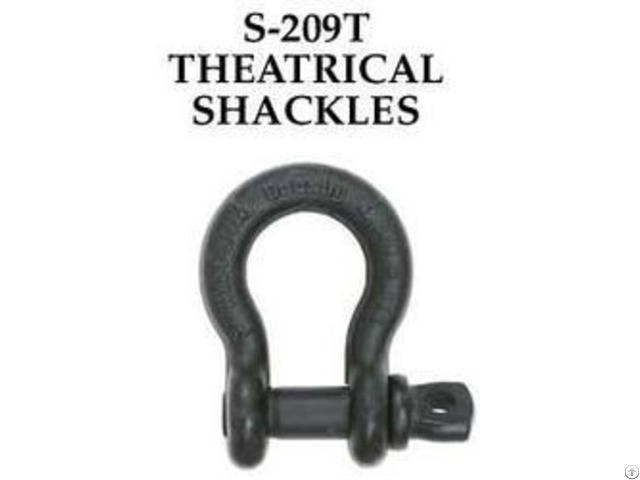 Crosby S 209 T Theatrical Shackles are Forged - Quenched and Tempered, with alloy pins. Working Load Limit permanently shown on every Crosby S 209 T Theatrical Shackles. Crosby S 209 T Theatrical Shackles are Flat black baked on power coat finish. Crosby S 209 T Theatrical Shackles are Fatigue Rated. 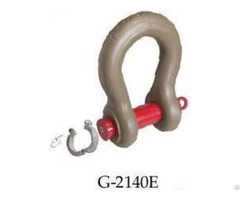 Crosby S 209 T Theatrical Shackles meet the performance requirement of Federal Specification RR-C-271F Type A, Grade A, Class 2, except for those provisions required of the contractor. Crosby S 209 T Theatrical Shackles Meets the performance requirements of EN 13889:2003. Meets or exceeds all requirements of ASME B30.26 including identification, ductility, design factor, proof load and temperature requirements. 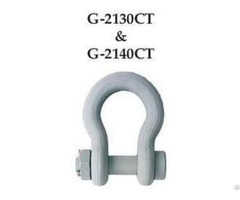 Importantly, Crosby S 209 T Theatrical Shackles meet other critical performance requirements including fatigue life, impact properties and material traceability, not addressed by ASME B30.26.